The Glengoyne Distillery, has today announced the launch of the seventh batch of its Cask Strength bottling. Glengoyne Cask Strength Batch No. 007 (58.9% ABV) has been matured in a combination of first-fill European and American oak Oloroso sherry casks, refill casks and bourbon barrels. This latest release from the Highland based distillery, is said to boast a fruity, malty flavour profile, featuring notes of cinnamon, orange, peaches and honey. 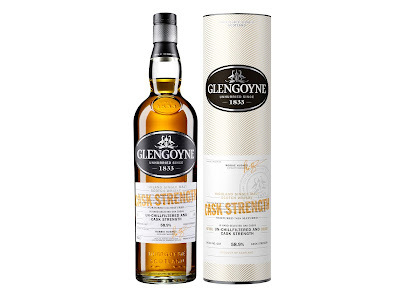 This latest Cask Strength Batch bottling, follows the launch last month of the Glengoyne Legacy Series: Chapter One, the first new global release from Glengoyne Distillery since October 2017. Glengoyne Cask Strength Batch No. 007, is now available via www.glengoyne.com for a RRP of £59.99.